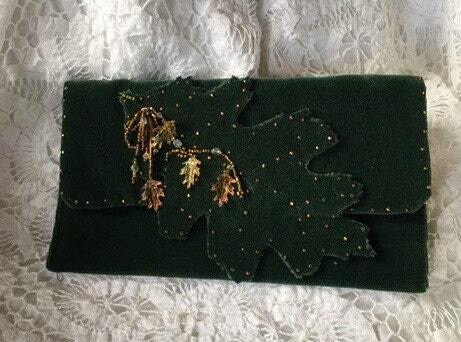 I found a selection of Evening Bags I made for a show and stored away, years ago. It is time to bring them out into the light. I am offering them at a reduced price. This bag is stunning. If you love the unique and different this is for you. 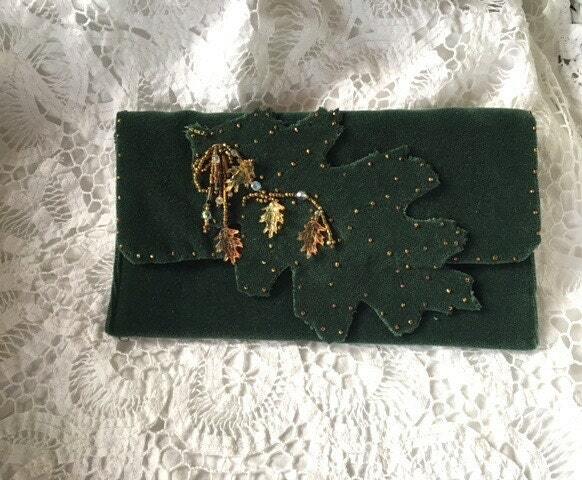 Deep forrest green velveteen with hand beaded Oak Leaf overlay applique. 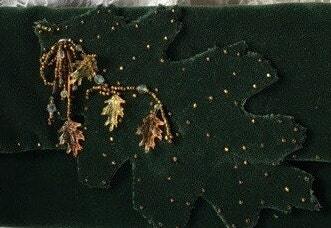 Vintage beads and crystals with Autumn colored Oak Leaf charms adorn the studded applique. 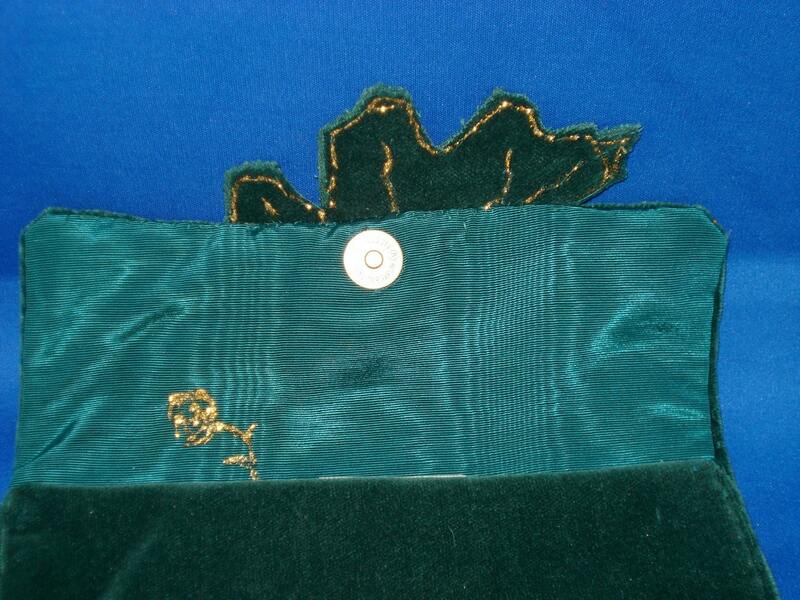 The inside is lined with a dark green Moire Silk. Lots of room for a cell phone and essentials. Feel free to contact me if you are interested in custom orders. I will be happy to create a new design or to restructure an old one with new color and texture. Convo me to discuss the endless possibilities. 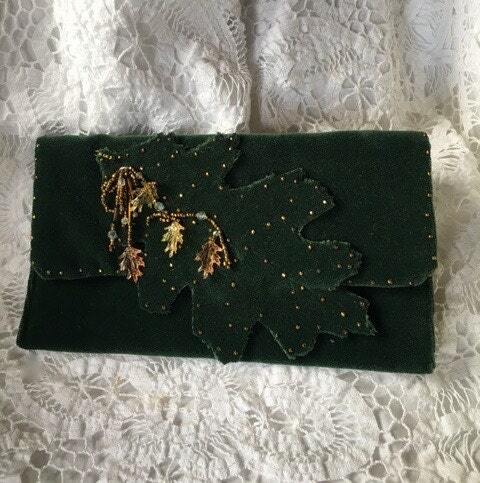 This bag measures 9" X 5"
Thank you for visiting Heirloom Ribbon & Beadworks.